There isn’t a huge split between men & women. Men hate them a bit more, but they also like them a bit more…they are just less indifferent. There aren’t any conclusive bits based on income. Wealthier people appear to be more indifferent, however the sampling error on that is huge due to the small sample size. How does Google’s definition of cloaking square with the above? 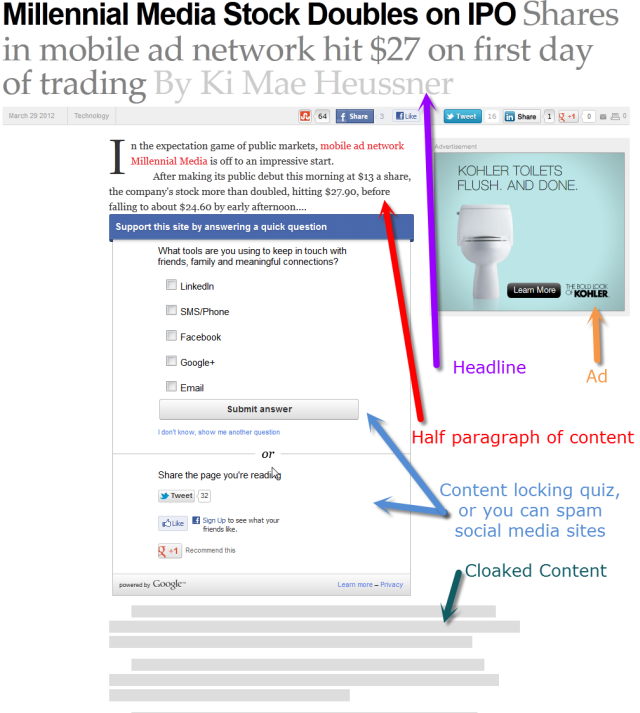 If publishers (or a competing ad network) do the same thing without Google, would it be considered spam?